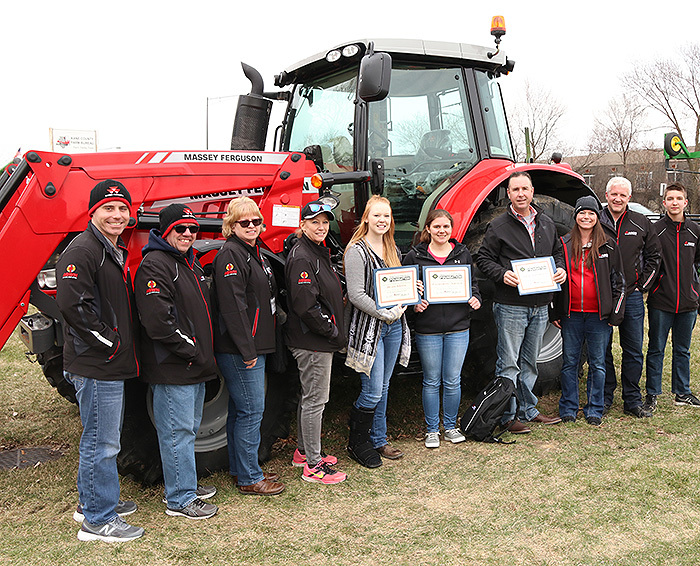 AGCO has recently launched a formal diversity and inclusion effort called TRAIT. At its core, TRAIT represents AGCO’s core values of Team Spirit, Respect, Accountability, Integrity and Transparency. 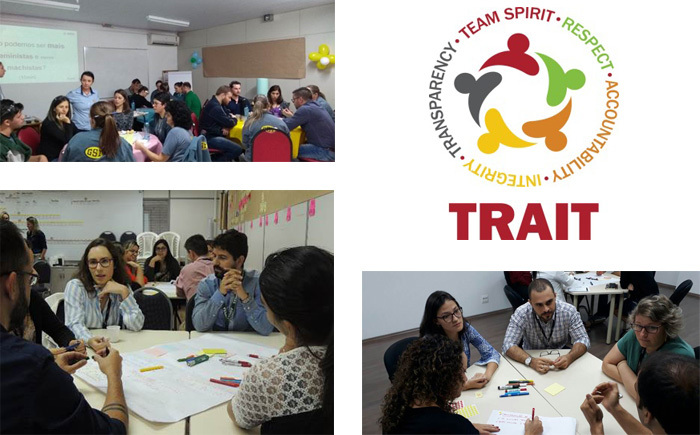 TRAIT doesn’t replace these core values – it emphasizes how our core values work together to foster an inclusive work environment. AGCO leaders recognize the importance of diversity and inclusion in our global work environments and in our local communities. We are a naturally diverse organization, with more than 20,000 employees operating in over 150 countries. We know from experience that diversity promotes creativity and innovation, and that fostering an inclusive environment leverages that creativity to drive greater business success. 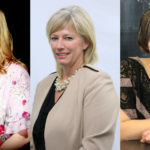 This acknowledgement helped launch AGCO Global Women’s Network (AGWN) over seven years ago and now, with the full support of our senior management team, AGCO has accelerated its commitment by launching TRAIT. Since its inception, AGWN members have lived our mission to develop, promote and advocate for female leaders as growers of profitability, collaboration and a diverse culture at AGCO. Our shared efforts have built a strong global foundation for our expanded diversity and inclusion efforts. AGWN members will be focused on professional development, recruitment and community service as part of the TRAIT program. AGCO plans to harness the ideas, innovations and commitment of our global team members to deliver the high-tech solutions farmers need today and in the future. 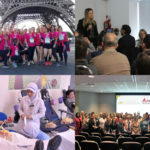 To celebrate International Women’s Day and other important dates, let’s take a look at some terrific AGWN meetings and events held around the world recently! 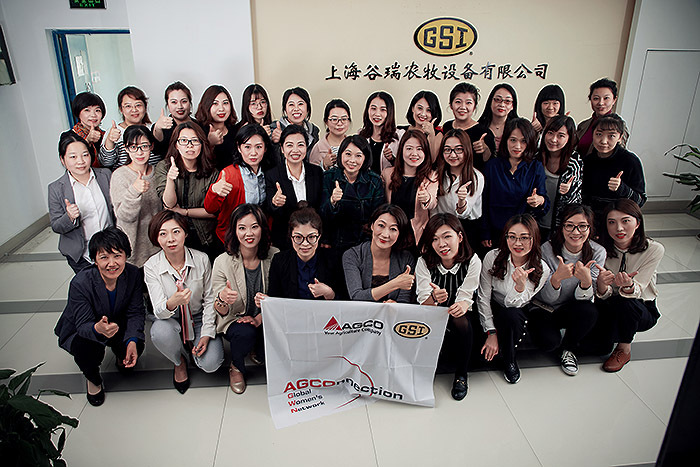 Members of the AGWN GSI China Shanghai chapter give a “thumbs up”. In the Asia-Pacific and Africa region (APA), a Women’s Day event: ‘Discovering Your Beauty’ is making its way through AGWN APA chapters. The purpose of the event includes sharing the APA three-year road map and 2018 AGWN activities planning as well as discovering the beauty of each individual. The first meeting of the AGWN Breganze team to discuss ideas for 2018. 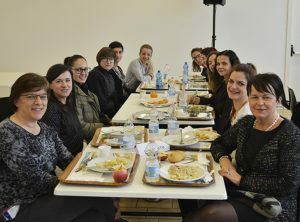 To celebrate International Women’s Day, AGWN Breganze, Italy, held an informal lunch to discuss wellness and health including the launch of a Healthy Snacks campaign. In all company vending machines, we can now find dried fruit beside crackers and biscuits for celiac colleagues. Next step in this program is to replace all small bottles of water with big water distributors in order to limit the amount of plastic waste. Additionally, this AGWN chapter is planning professional Free Teaching programs to increase professional skills with the support of colleagues. The AGCO Platinum Award and AGWN Parts Division Scholarships winners. AGWN Batavia and AGCO Parts awarded five scholarships at this year’s Touch-A-Tractor event at the Kane County Farm Bureau in St. Charles, Illinois, USA, April 6-8, 2018. Scholarship recipients are Illinois-resident students pursuing an agriculture-related field of study. AGWN Batavia successfully doubled its funding goal from last year to give even more to this educational effort. Applicants were evaluated on academics, exceptional leadership involvement, professional goals, financial need and references. (Left) From the AG Day in the schools event on March 20, AGWN Jackson sent members to read to kindergartners. (Right) Marcus Legette and Jason Meyer helped 2nd graders plant seeds on AG Day in Jackson, Minnesota, USA. 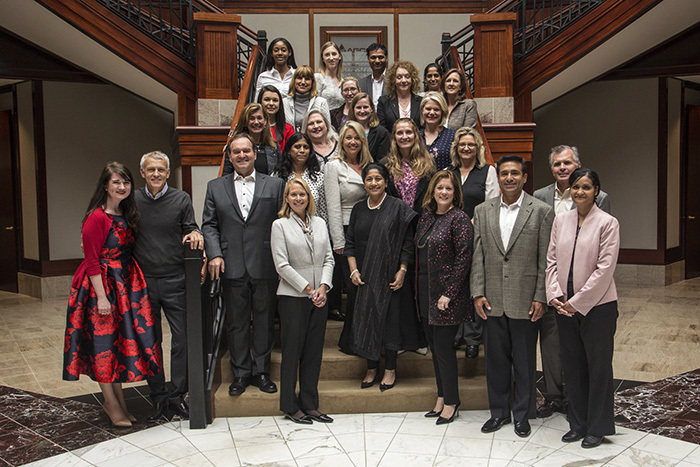 AGWN Duluth members enjoyed meeting AGCO’s newest Board Member, Suzanne Clark (pictured on floor level, fourth from right), and Mallika Srinivasan (on first step, center), AGCO’s first female Board Member, at its Annual Kickoff and Power Lunch. Several AGCO leaders as well as the AGWN Duluth Board posed for this occasion. 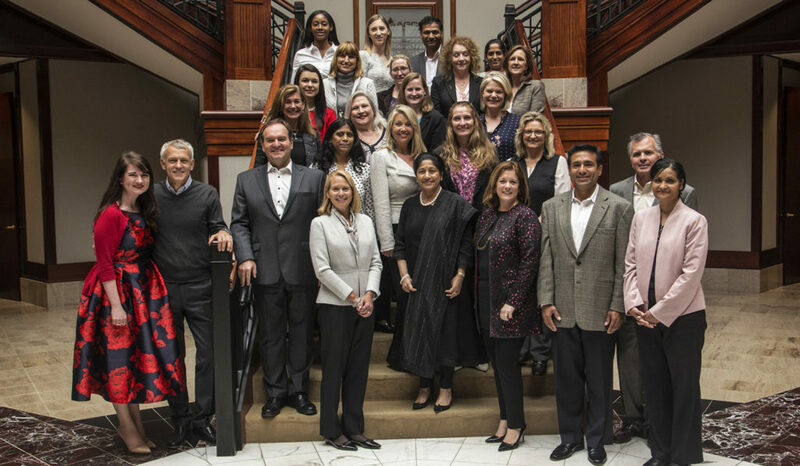 AGWN Duluth was honored to feature AGCO Board of Directors members Suzanne Clark and Mallika Srinivasan at its Annual Kickoff and Power Lunch. Suzanne Clark is the U.S. Chamber of Commerce’s Senior Executive Vice President, appointed to AGCO’s Board of Directors in April of 2017. Mallika Srinivasan is Chairman and CEO of Tractors and Farm Equipment Limited, the third-largest tractor manufacturer in the world, and was the first female named to AGCO’s Board of Directors in July of 2011. AGWN members were inspired by the insight and advice imparted by these powerful and motivational businesswomen. Commemorating Women’s month with the AGWN SA regional committees across different SA locations, featuring (Top-Left) Marau with 25 participants, (Bottom-Left) Canoas with 19 participants and (Bottom-Right) Jundiaí with 15 participants. In commemoration of Women’s month, AGCO South America promoted an innovative initiative, integrating the actions created by the AGCO AGWN SA Regional Committee. This activity, called the World Café, took place in most AGCO SA sites and brought together collaborators—women and men from various areas and functions. The purpose of these discussions was to generate meaningful conversations about gender equality, feminism and individual actions that could be taken toward creating and promoting a workplace that welcomes gender equality. Read the Inside Look At AGWN blog post for more information on past AGWN member led activities. At AGCO, we encourage those interested in a career with us to visit careers.agcocorp.com to find out more about who we are, what we do, and the career opportunities we have to offer.